Welcome to the Lifestyle Ladies Chat Question and Answer Page! We both love to chat, so grab a cup of tea, relax in your comfy chair, and send your questions our way! Maybe you want advice on emotional eating, 100 calorie snack ideas, the meaning of food cravings, or your stress weight gain. It could be a personal question, or just a generic question about anything food, cooking, nutrition, or diet related! If you have the question, others have it too! You will be helping others in their quest to practice healthy diet habits, and we would love to assist you with weight loss support!! Your question will become a permanent page on our website, along with our answer, and others will be able to comment. Feel free to comment on other questions that have been asked! We would like to make this an interactive area on our website, where we can help to support each other learn healthy diet habits for Lifestyle Solutions for permanent weight loss and weight control! Entering your contact information is optional, so if you would like to remain anonymous, while asking and getting your questions answered, that works too! 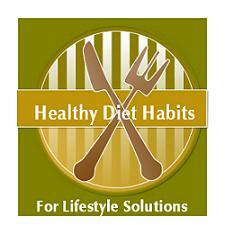 Do you have a Burning Question about adding Lifestyle Diet Habits into your life? Do you have a question about incorporating Healthy Diet Habits into your life, rather than trying to "Get Skinny Quick", that has failed you in the past? Do you have a question about emotional eating, or mindless eating? Whether your questions are about weight loss, diets in general, cooking, food substitutions, or general nutrition tips, pop into our Lifestyle Ladies Chat community and ask away! !